Shorter days and the fall of leaves from the trees show that autumn is very much upon us. Preparation for winter is a crucial part of lawn maintenance, so getting those all-important tasks completed in the coming weeks will help your lawn make it through the colder months in great shape. Lawn Master focuses on making it as resilient as possible from root to tip. Here’s how. 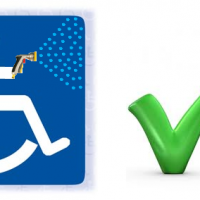 We eradicate moss and weed growth: There is always a battle for space throughout the winter. 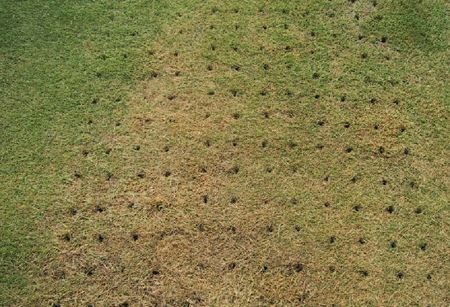 An autumn control treatment ensures grass isn’t smothered. 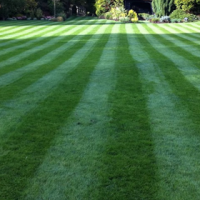 We clear out debris: Book now to have your lawn scarified before the end of October. 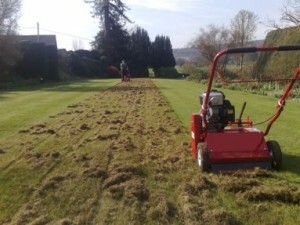 Scarification clears dead and decaying organic matter from the base of the grass plant and loosens moss, enabling it to the cleared. If left in the lawn it encourages waterlogging and turf diseases. 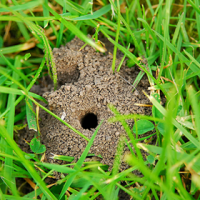 Lawns need to be scarified before temperatures drop to enable them to recover. We tackle waterlogging before it happens: If your lawn is susceptible to waterlogging have it aerated while conditions allow. 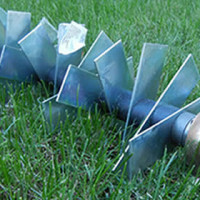 If your lawn gets very wet, aeration at the beginning and end of winter is recommended. We take advantage of the sunshine while it lasts: Any areas where grass cover is poor can be topdressed and seeded using a ryegrass mix. Ryegrass is robust and it grows well in cooler conditions, which is why it is used on football and rugby pitches. 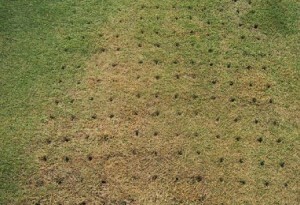 Germination and establishment can continue well into the autumn. We know the importance of winter nutrition: Just as we need nutritious food to stay healthy and to stave off winter illnesses. so does your lawn. Our autumn application strengthens roots, controls moss spores, helps prevent common turf diseases by raising levels of key nutrients, and protects the grass plant from stress caused by harsh environmental conditions. Lawn Master operatives have maintained turf at some of the country’s most prestigious sporting venues, from Premier League football pitches to Championship golf courses. 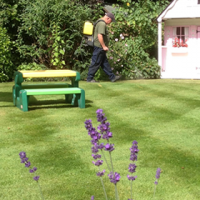 Along with providing a range of lawn care services they will be happy to advise you on the best way to prepare your lawn for winter.